Wine racks are must have storage devices for the serious wine lover. These storage solutions not only provide a way to organize, manage, and display their wine bottles, but also serve as stylish pieces that can accentuate the design of their wine cellar space. 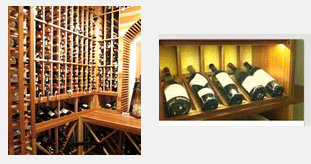 Chicago wine cellar racks offer a safe and secure place where wines can age to perfection, undisturbed. 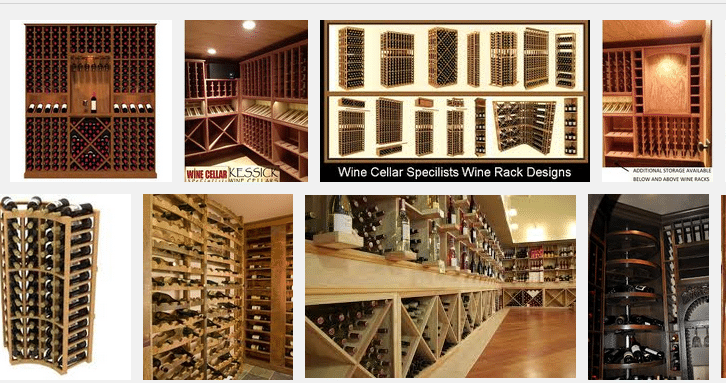 There are a number of different materials used in building custom wine racks Chicago. The most common ones are wood and metal. 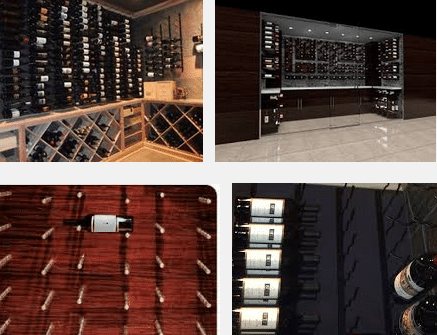 Each component has its own unique features and characteristics that will not only provide maximum storage capacity, but also create an aesthetically pleasing Chicago wine storage and display solution. 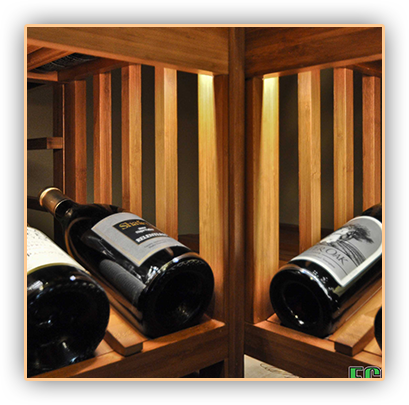 Wood is the most popular option when it comes to making custom wine racks because of its availability and workability. In addition, wood takes stains and finishes very well, giving the finished product a more distinct and unique appearance. Common wood species used are Mahogany, Pine, Cedar, Premium Redwood, All Heart Redwood, and Red Oak. Wood wine racks come in many styles and storage capacities that allow for an impressive showcase of wines as well as provide ease of bottle recognition and retrieval. 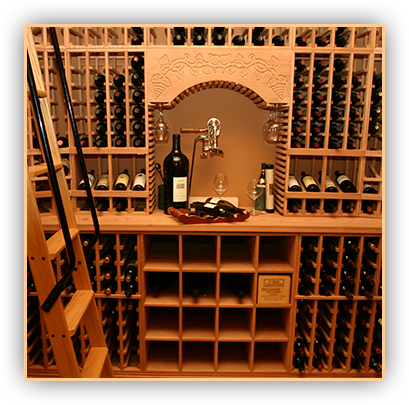 Wooden custom wine racks Chicago are designed to accommodate a variety of storage needs and requirements. Wall mounted racks save floor space and are excellent for small spaces, while countertop racks are great for holding a small number of wines in the kitchen or dining area. Custom wine racks made out of wood are not only built to maximize total bottle capacity, but also enhance wine presentation. Some of the most popular Chicago wine cellar racks are single bottle storage racks, quarter round displays, X-cube wine racks, diamond wine bins, and curved corner wine racks. Single bottle storage racks feature a high reveal display row that allows wine collectors to showcase some of their favorite wine bottles. The display tray is tilted at a 15 degree angle that not only helps maintain cork and wine contact, but also keeps the labels visible for easy perusal. Bottle openings for individual bottle racking usually measure 3 ¾” x 3 ¾” and can accommodate all standard-sized wine bottles. Quarter round display shelves make for excellent end pieces to the racking system. This wooden wine rack component provides enough space to hold and display decanters, champagne buckets, and even large format wine bottles. X-cube wine racks and diamond wine bins are ideal for storing wines in bulk. These types of wood wine racks can accommodate a large number of wine bottles of different sizes. These racking solutions allow wine enthusiasts to consolidate their wine collection in certain groups while keeping bottles organized in an easy to find method. Curved corner custom wine racks are the best racking solution for unused corner areas in a wine room. True radius curve corner racks are non-segmented racking solutions that feature seamless dado spacer bars and molding, which allow for a smooth and fluid transition from one wall to the other. 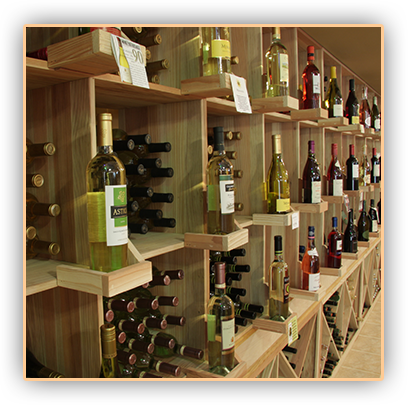 There are several factors to consider when choosing wood wine racks for your racking solution. The racking unit should be designed with horizontal spacer bars across the front and rear that will provide structural integrity. To secure bottles against damage, Chicago wine storage racks must have a toe-kick height of 1 ½” that raise the bottom row of racking system off the floor. Protecting wine labels are also a must; hence, choose wood racking solutions with openings that have smooth, hand-sanded edges. 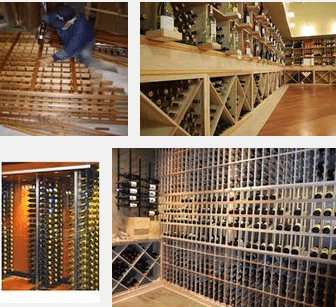 Chicago wine cellar racks made out of wood are simple yet elegant racking solutions that can provide an old, antique feel to a wine cellar space. Of course, not every wine collector shares the same taste in custom wine racks. Another wine racking option to consider is metal wine racks, which are perfect for the contemporary minded wine aficionado. Metal wine racks are made of stainless steel or wrought iron. Metal pieces create unique and fluid shapes and designs; hence, custom wine racks constructed from these materials provide an artistic and stylish way for wine lovers to showcase their favorite wine labels. In addition, metal wine racks are highly durable and long lasting because metals are intrinsically resistant to staining and corrosion. One of the most popular metal wine rack displays are from Vintage View. Although most metal wine racks are designed for short-term storage, Vintage View metal wine racking systems are ideal for long-term Chicago wine storage. They not only provide striking and aesthetically pleasing wine displays, but also optimum storage capacity. Vintage View wine racks are available in wall mounted and floor to ceiling designs that provide maximum total capacity as well as ease of bottle recognition. This type of custom wine racks Chicago comes in brushed nickel or black satin finishes, which should blend well with any modern wine cellar design. 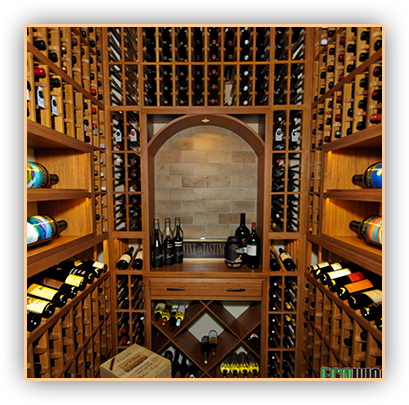 For your wine storage needs, contact Custom Wine Cellars Chicago now. Click here.